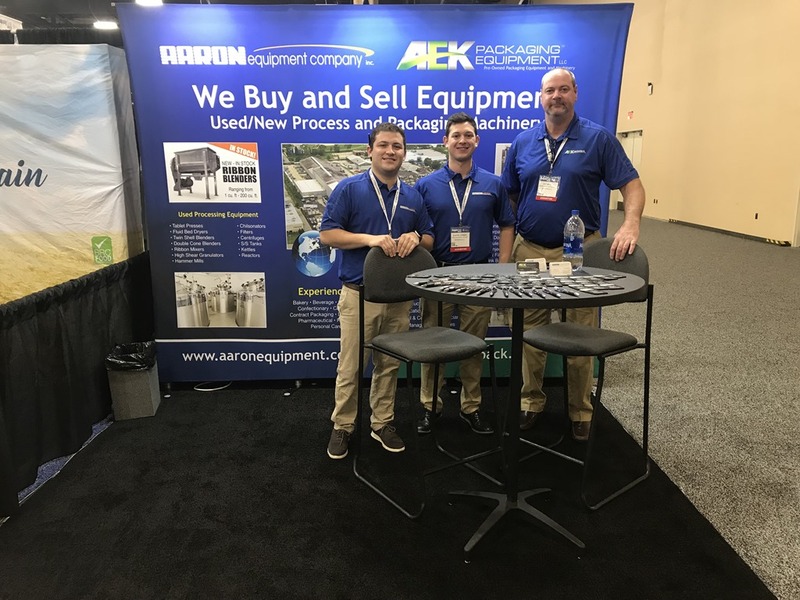 Aaron Equipment Company and AEK Packaging recently exhibited at SupplySide West at the Mandalay Bay in Las Vegas, Nevada on November 8-9, 2018. SupplySide West brings together ingredient buyers and suppliers from the dietary supplement, beverage, functional food, personal care and sports nutrition industries. They had more than 1,300 exhibiting companies and attracted 16,000+ active attendees. Austin Lerner and Pat Quinn represented Aaron Equipment / AEK Packaging at the show. This was the 5th consecutive year that Pat Quinn has represented AEK. Pat commented, “We had a bunch of new faces in our booth this year. I definitely made a lot of new contacts in need of used packaging equipment.” This was the first time that Austin Lerner represented Aaron Equipment. “It was pretty incredible the amount of traffic that this show produces. I’m really looking forward to doing this again next year,” Lerner said. SupplySide has been a great show for the Aaron Companies in the past and it was a royal flush again this year. The show has opened up new opportunities for both the sales side and the buying end of the business. Aaron and AEK will also be exhibiting at the show in 2019. We hope to see everyone there. View our entire inventory process equipment inventory online or visit our location for an inspection. Call us and speak with an equipment specialist to answer any questions you may have.